Koornwinder, T.H. (1979). 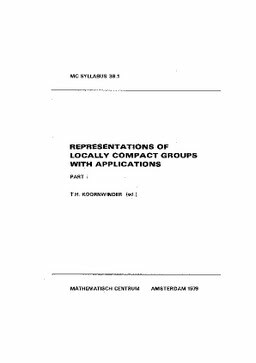 Representations of locally compact groups with applications. MC Syllabus. Stichting Mathematisch Centrum.